I’ve been meaning to make hummus for quite some time. 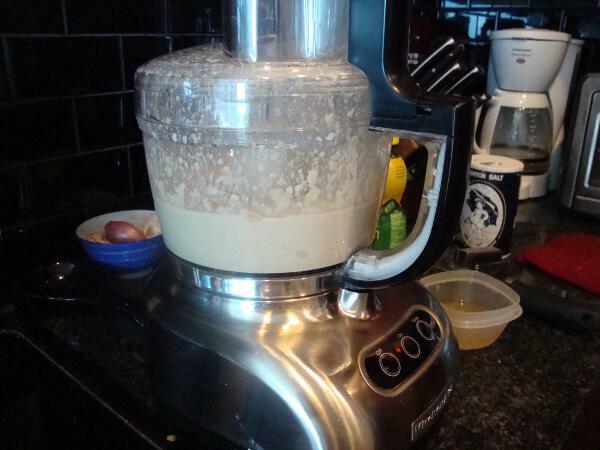 I sought out tahini at the local Home Economist over a month ago and have had a can of chickpeas waiting patiently in the pantry for even longer. 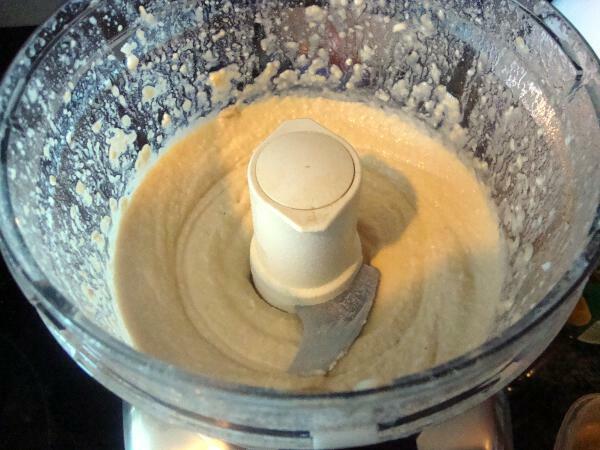 It was so simple I can’t believe I have never made hummus before! 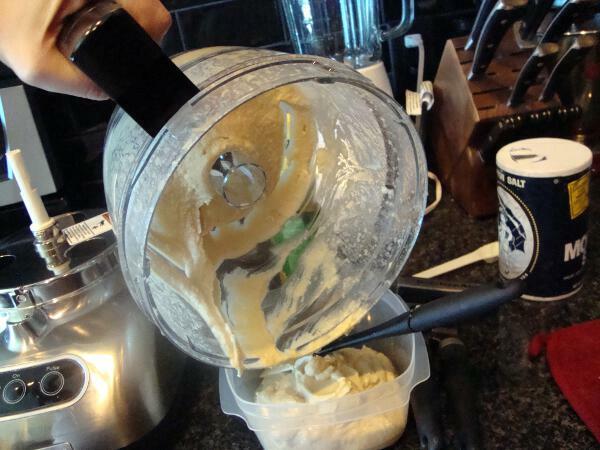 I had the urge to go crazy with flavors such as curry, cilantro, honey, and cayenne…but with Brad’s advice, I stuck to your typical garlic hummus since it was my first time and all. 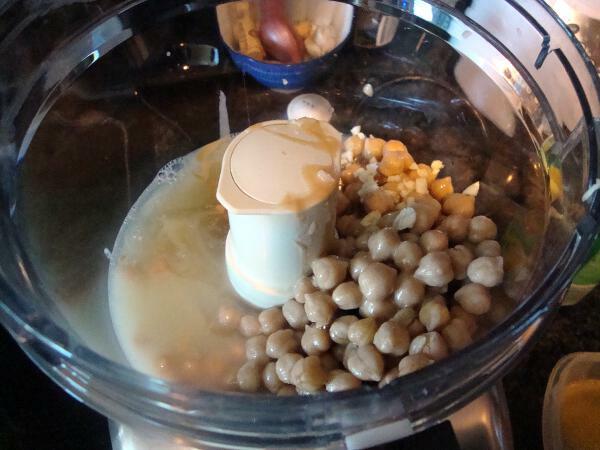 Separate liquid into a container from the chickpeas. Eye-balled half of the amount as I poured it into the food processor. Next, I scraped the contents into a plastic container for storage. Then I pureed all the ingredients. 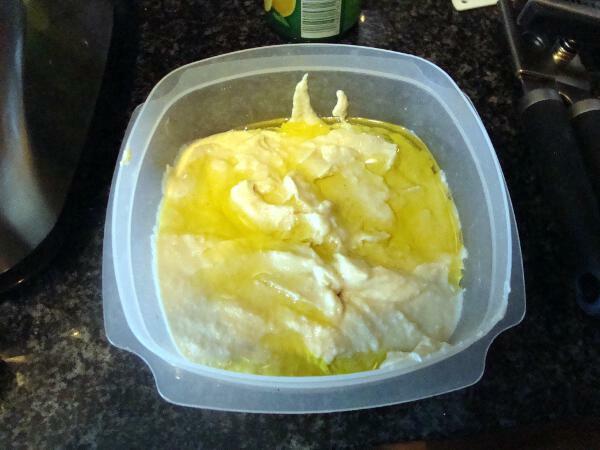 The recipes I referred to for my hummus all used much more olive oil. I thought I would start out with less, then add more later if I missed the additional oil. I don’t miss it at all! I love olive oil, but it’s nice to be able to cut back on something without really changing the flavor/texture of the product.